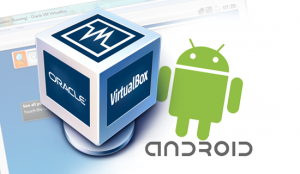 Buildroid for VirtualBox 20120530 update has been released with new bug fixes and improvements. Thanks your software, may I know how the detail setup of share folder / USB share between android and PC ? Thank you ! the system is working fine. The problem is that i cant donwload applications from google play since it says that my device is not compatible. Unfortunately that is the limitation of the current Android x86 for computer. Not all applications are compatible with it. Recently there is a good hack to run ARM apps like Angry Birds games on Android x86. The details are here. I'm looking forward more Android x86 improvements in future. Does it support whatsapp?? plz help. thnk u.
I am using the Android-x86 image for tablet with phone capabilities version, the WhatsApp Messenger works without crash but I wasn't allowed to proceed the app's device verification process with an alert message that tablets currently not supported. So you can give it a try on vbox86p for phone version and see whether it work. If it doesn't work, I would recommend run WhatsApp on BlueStacks app player. Earlier i had bluestacks installed in my pc but when the new version came my old version stoped woking and i got a notification to update . while updating i cancelled it inbetween and shuted down my pc . Now i have deleted almost all files of bluestacks and now i am trying to install but it shows a message Bluestacks is already installed "bluestacks app player download is in progress" what should i do ?